A Quality Rain Gutters, Inc. Comment: I need the rain gutters on the second story of my house cleared out and then have covers installed in them so they won't fill up with leaves and debris. Comment: Clean gutters and possibly install gutter covers. Comment: The roof on the back porch was damaged by a tree that came loose during a storm. The gutter is damaged. The gutter also leaks at the seam along the other sides. Draper Gutter Cleaning & Repair Services are rated 4.61 out of 5 based on 455 reviews of 12 pros. 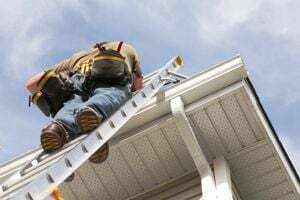 Not Looking for Gutters Contractors in Draper, UT?